Running an operating system like Ubuntu or any of its derivates, like ie. 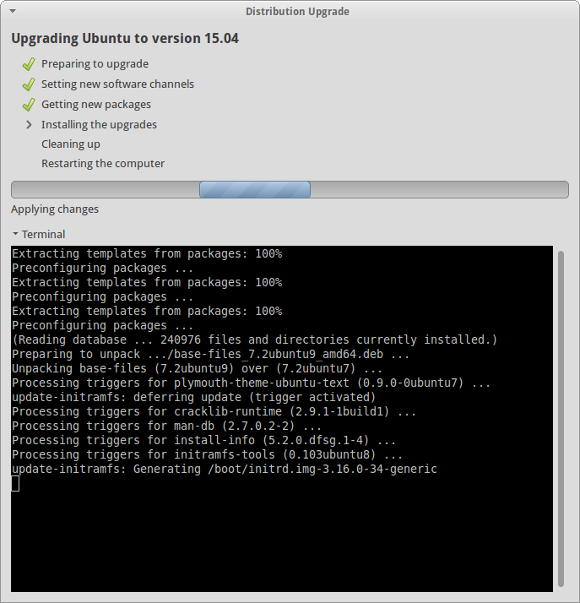 Xubuntu, comes with some nice treats (and threats?). One of the nice things is that you'll get a scheduled upgrade approximately every six months. Usually, around April and October of each year. Meaning there are two releases per year resulting in those version numbers [Year].04 and [Year].10. Also, ever two years the April edition of Ubuntu is classified as a Long-Term Support (LTS) version which keeps an extended period of time. A nice touch and surely interesting for professional installations of Ubuntu but eventually not too practical for the daily use at home or when you're interested in latest versions. 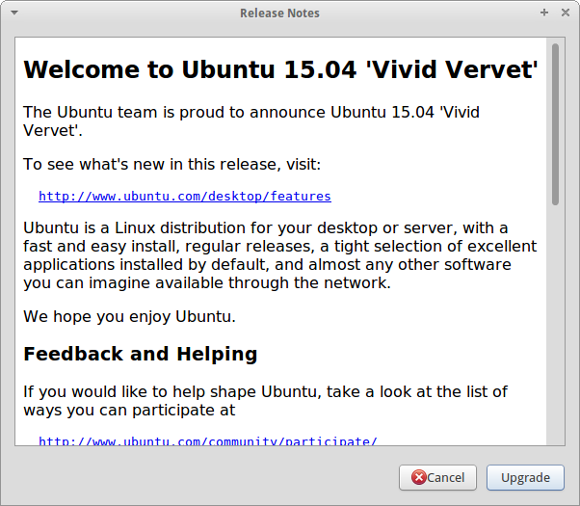 As a result the graphical Software Updater should inform you that a newer version of Ubuntu is available for installation. After clicking 'Upgrade...' or 'Yes, Upgrade Now' you will be presented with information about the new version. Simply continue with the procedure and your system will be analysed for the next steps. Next, we are at the point of no return. 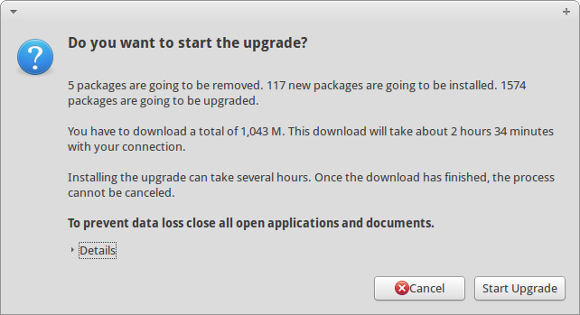 Last confirmation dialog before having a coffee break while your machine is occupied to download the necessary packages. Not the best bandwidth at hand after all... yours might be faster. Are you really sure that you want to start the upgrade? Let's go and have fun! Anyway, bye bye Unique Unicorn and Welcome Vivid Vervet! In case that you added any additional repositories like Medibuntu or PPAs you will be informed that they are going to be disabled during the upgrade and they might require some manual intervention after completion. Well, depending on your internet bandwidth this might take something between a couple of minutes and some hours to download all the packages and then trigger the actual installation process. In my case I left my PC unattended during the night. 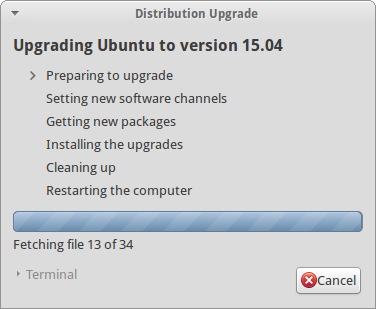 At the end Xubuntu will ask you whether you would like to remove old and obsolete packages of the previous version. Finally, it's time to restart your system and see what's going to happen... In my case absolutely nothing unexpected. The system booted the new kernel 3.19.0 as usual and I was greeted by a new login screen. And repeat all steps as described above.